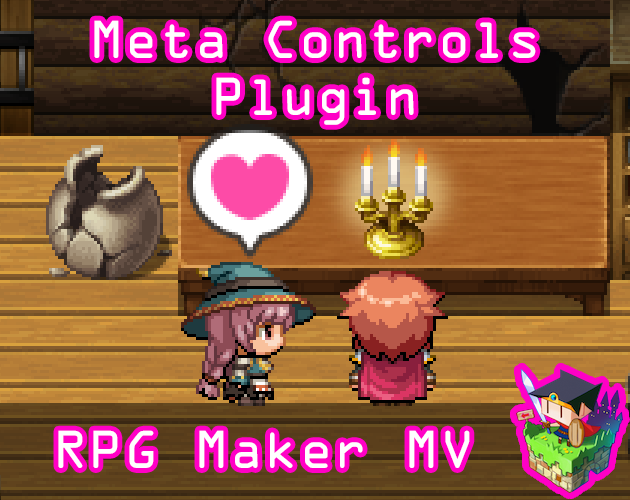 This is a RPG Maker MV plugin that lets you control switches and variables that last across a meta level on a game. A switch or variable designated to function as a meta switch or meta variable can persist across different save files. 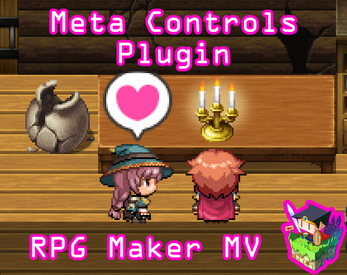 To assist in controlling meta properties of the game some more, the developer can assign common events to run at the start of a new game or when a game is loaded. Saving the game can also register map data to variables. - Place this in the name of a switch or variable that you want to have its data persist across only related saves. This does not have to be the full name. It can be a part of the switch or variable's name. 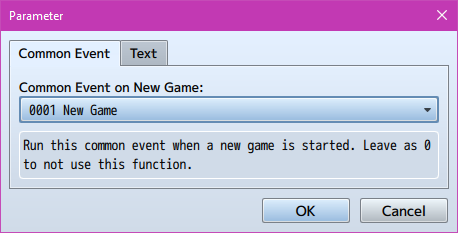 Common Event on New Game: Run this common event when a new game is started. Leave as 0 to not use this function. 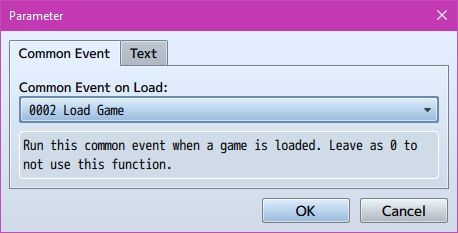 Common Event on Load: Run this common event when a game is loaded. Leave as 0 to not use this function. Variables on Save: If any of these are set to variables, then those variables will acquire the Map ID, Map X position, or Map Y position whenever the player makes a save. Which Saves Are Affected By <Local Meta> ? Let's say you create three new games A, B, and C.
If in playthrough A, you save in files 1 and 2, then <Local Meta> data will affect both files 1 and 2. They will not affect the saves from playthroughs B and C. To affect playthroughs B and C, it will have to be <Global Meta>. In playthrough B, you save in files 3, 4, 5. The saves made in playthroughs A and C will not be affected by the <Local Meta> data made during playthrough B and its saves. 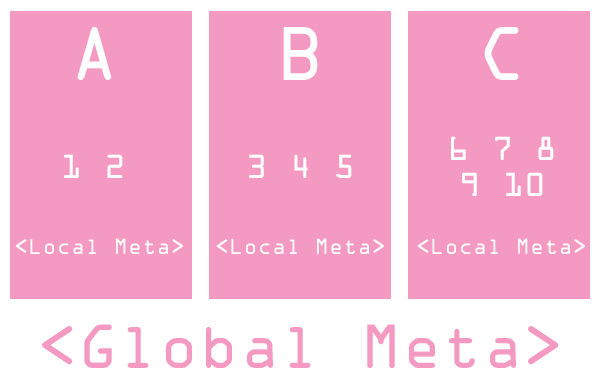 To affect them all, use <Global Meta>. For playthrough C, save files 6, 7, 8, 9, 10 are used. All other playthroughs are completely unaffected by the <Local Meta> data used in playthrough C. To affect other playthroughs, <Global Meta> has to be used. But there is a warning: <Local Meta> will not affect related playthroughs for save files made before installing this plugin. This is due to the lack proper linking across those saves to be used for meta data. Sep 28 2018: Added fail safes for the projects that initialize Game System before Game Switches or Variables.